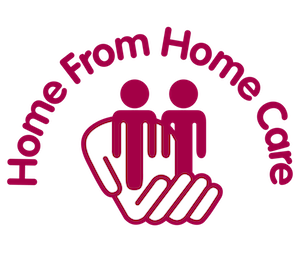 Home from Home Care (HFHC) provides specialist residential services for 73 adults with learning disabilities and complex special needs including Autism, Epilepsy, Cerebral Palsy, Profound and Multiple Learning Disabilities (PMLD), Sensory Impairment, Health and Mental Health Issues. Created in 2004 by parents of a daughter with learning disabilities, we deliver proactive care & support enabling individuals to reach their potential and live fulfilled lives in ’œthe world on my terms’. We employ over 300 staff and have contracts with around 36 Commissioning Authorities, with many placements initiated by families and carers attracted to our high quality care and exceptional environments. Combining our family perspective with experienced professionals, we create dynamic and therapeutic services around each person in exceptional environments, offering a full and active life to meet personal aspirations, delivering meaningful outcomes and fulfilled days. We provide hope and support to families who are looking for positive solutions to care, and are changing the perception of individuals with learning disabilities and complex health and mental health issues within local communities, and society as a whole. Our innovative approach can offer more cost effective solutions, creating better outcomes whilst delivering value for money for taxpayers. Investors benefit from the stability of our sustainable long-term approach and its focus on service users and staff. Our recruitment and training departments create meaningful long term careers for our staff who include graduates, long term unemployed, ex-forces and those seeking a career change. We create local employment and investment by building new specialist care homes, generating jobs and economic activity, and provide opportunities for social integration, helping to change attitudes and breakdown barriers at the micro level. We believe in creating legacy, sustainability and long term social impact. This has been our focus for the last 11 years and has enabled the company to expand.